The American Academy of Pediatrics has made an update to their car safety guidelines that concerns anyone with a small child. As the Chicago Tribune reports, parents are now recommended to keep their kids in a rear-facing car seat until they outgrow it. Per the old safety standards, children were to sit in rear-facing car seats until age 2, after which they'd switch to seats that face forward. Rear-facing seats absorb the impact from the body in the case of car crash or sudden stop. In conventional front-facing seats, the body jerks forward with nothing to cushion it, possibly resulting in head or neck injuries in younger children. 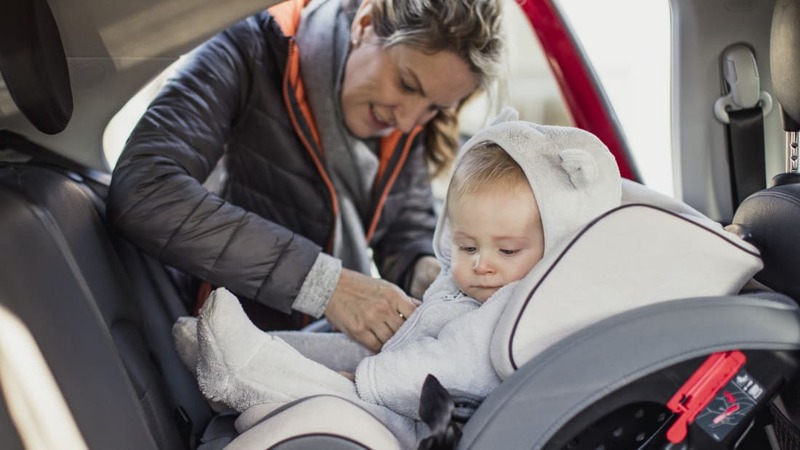 According to AAA, kids 1 to 2 years old are five times less likely to die or sustain serious injuries in a crash when they're strapped into a rear-facing seat. The AAP's new guidelines say that toddlers can also benefit from this life-saving design. Many modern rear-facing car seats can hold passengers that weigh up to 40 pounds. As long as a child doesn't exceed the weight limit, they should ride in a rear-facing seat, no matter their age. Once they get too big for their first car seat, parents should switch their kids to a front-facing seat, and once they outgrow that (the weight limit for most front-facing seats is about 65 pounds), they can move on to a booster seat. Most kids are big enough to ride in a car without any safety equipment when they reach about 4 feet 9 inches tall. Even if your child is the perfect size for their car seat, the seat itself may not be a safe pick. Here what you should do to stay up-to-date on car seat recalls and expiration dates.